Born in a Tamil-speaking Balan family on January 1, 1978 in Palghat, Kerala, India, Balan and her family re-located at Road No. 11, near Ambedkar Garden, Chembur. She studied in Bombay and also performed in Prithvi Theaters' workshops. She began her screen career with commercials in 1998. She also appeared in three music videos for Pankaj Udhas, Euphoria, and Shubha Mudgal. She then appeared in Ekta Kapoor’s TV serial “Hum Paanch” and Ashok Pandit’s "Hanste Khelte” In 2003 Vidya appeared in a Bengali film “Bhaalo Theko.” In 2005 she made her Hindi film debut with Parineeta. 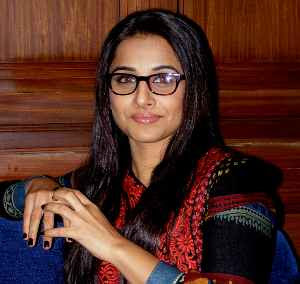 Her performances have led to favourable receptions from critics and in the short span that she has had in Bollywood, Vidya is already an actress to reckon with. Her last two films Hey Babyy and Bhool Bhulaiya were hits. Causes associated with: Supports education for young Indians by promoting children's books; is associated with Americans for Aids Research; with Hale House - that provides support and housing for children born with HIV and drug abuse; as well as hosting forums and attending events for Harvard Aids Institute.